500 words, 1,000 words, 2,000 words. What’s the best word count? It can be difficult to choose how long a blog post should be to rank against competitors and generate organic traffic. Google uses 200 different ranking factors with 50 variations each, which means they look at over 10,000 different metrics to rank your website! It’s no secret that word count plays a role in how you will rank in the SERPs, but it’s not universal. Look at a news or weather website, for example. They use short form content, but can easily rank on the first page for competitive search terms. But then if you look at a niche like digital marketing, it’s common to see 3,000 words and beyond for articles. The reality is that there’s no cookie cutter way to approach the ideal blog post length, as it depends on your industry and competition. However, let’s look at what some famous studies have found on word count and its affect on rankings. Back in 2016, Backlinko analyzed over one million Google search results to see what they could discover about the ranking system. One of the key findings they concluded was that the average number one result on Google was 1,890 words long. There’s many reasons why marketers believe this happens. Firstly, producing long form content is known to generate more social shares. This makes content go viral, and signals to Google that it is important, as they do take social links into consideration. According to ContentStudio, articles that exceed 2,500 words receive a drastic amount of more social shares. Longer count packs more value, resources, information, and entertainment. Hence users are more likely to share with with friends and family. Secondly, longer content helps Google determine what your website is about through topical relevancy. If you have thousands of words covering one topic, the algorithm has more data to play with. Another thing to consider is that longer content can increase average time spent on page and lower bounce rate. Ever since Google released the Rankbrain algorithm a few years ago, they’ve put more weight on these user experience based metrics. A 1,890 word article would have users staying longer on the page, and potentially get them deeper into the site through internal linking. As a result, it signals to Google users are finding it valuable. 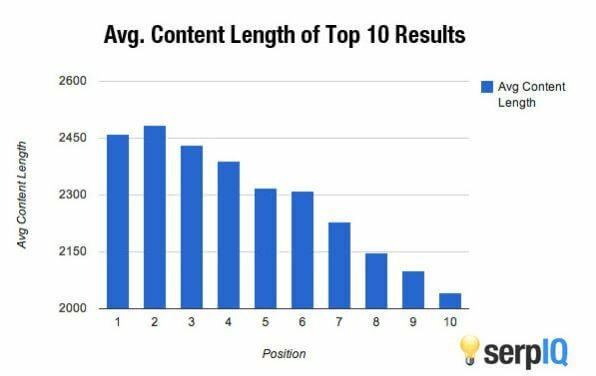 Another interesting study that was performed on the ideal blog post length was done by SerpIQ in 2012. While this was 7 years ago at the time I write this article, the data still holds up. Similar to Backlinko’s study, serpIQ analyzed over 20,000 different keywords in their study. The results concluded that the top 10 results for these terms were 2,000 words or more. They also discovered that the #1 position was 2,416 words. Take into consideration this was back in 2012, and the previous Backlinko study was completed in the last couple of years. This means that the word count needed to rank on the first has remain relatively unchanged for 7 years! With that being said, I’d like to teach you how to write more words easily. A common mistake marketers make when trying to up their word count is that they add a lot of fluff to content. Fluff consists of information or resources that don’t relate much to the topic at hand. You want to avoid this for a couple of reasons. One: It will negatively impact how Google topically views your website. Two: Readers will be unimpressed, and may be more likely to leave before finishing. I recommend that you always take the time to edit and proofread content to remove any fluff once you’re finished the first draft. I’m no saint. I’ve definitely written content for my sites before and didn’t edit it, then eventually got an email suggesting some corrections. Avoid this by cleaning up and optimizing your writing. A lot of copywriters like to take a break or sleep on their copy if you’d like to take that approach, too. The best content tells the reader exactly what to do, extends tools, and offers resources. That’s why most people are reading content after all, right? Reflect back on this article, for example. I’ve referenced studies and statistics that makes this blog post more actionable for you — the reader. Nobody reads content these days. This means that they scroll through looking for headers and different cues that tell them where certain information is. I bet there’s times where you land on a website, and quickly browse through to find what you need without reading every single word. In fact, it’s been found that visitors only read 20% of text on any given page. I recommend that you format content thoroughly to align with this common behavior. One of the first places to begin is by using headers tags like H1, H2, and H3. These should be used to break down major and minor points of an article. It organizes your thoughts, and improves the user experience. Win-win! Next, bullet pints and lists are nice for quickly summing up information or leading readers through different steps. Images are also good for making content more visually appealing, and also act as cues for what is being spoke about. I’ve been professionally writing for about seven years now. I use to make the error of jumping into writing without any planning or organization. I didn’t realize how much this was hurting my workflow until I started doing the opposite years later. 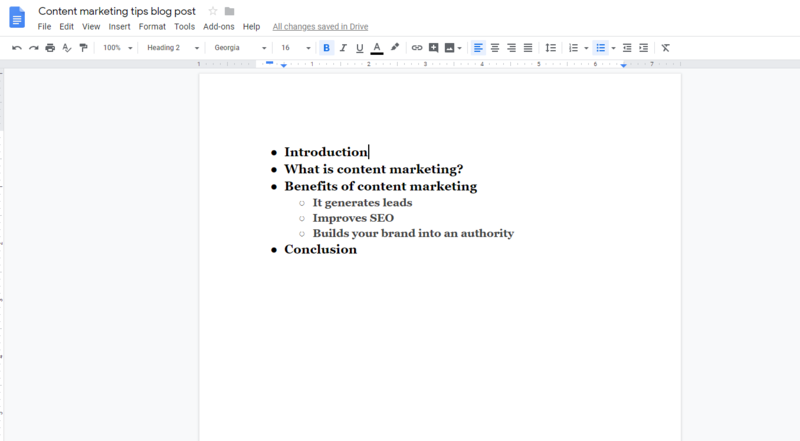 Planning out content ahead of time is one of my biggest tips for writing long form content. I would then suggest that you begin collecting resources for each of the points you’ve plotted. As you begin writing, you already know what to speak about, and you have resources you can use to make the process even smoother. The ideal blog post length depends on your exact niche and industry, but long form content is universal. Looking at the studies I touched on today, it’s safe that to say that approximately 2,000 word articles is a good goal to aim for. 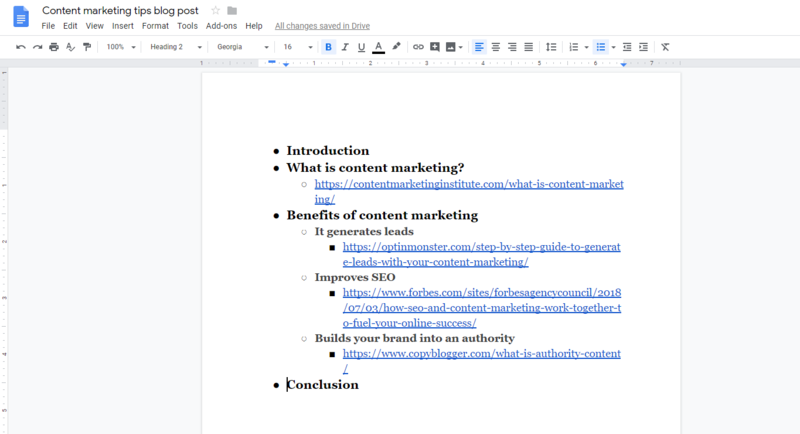 Long form content improves SEO performance, gets increased social shares, and shifts your brand into an authority. Plan out your content ahead of time, make it practical, and format it for the best results.